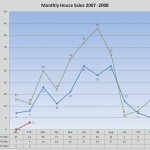 The green and blue lines show the number of homes sold per month for the past two years. 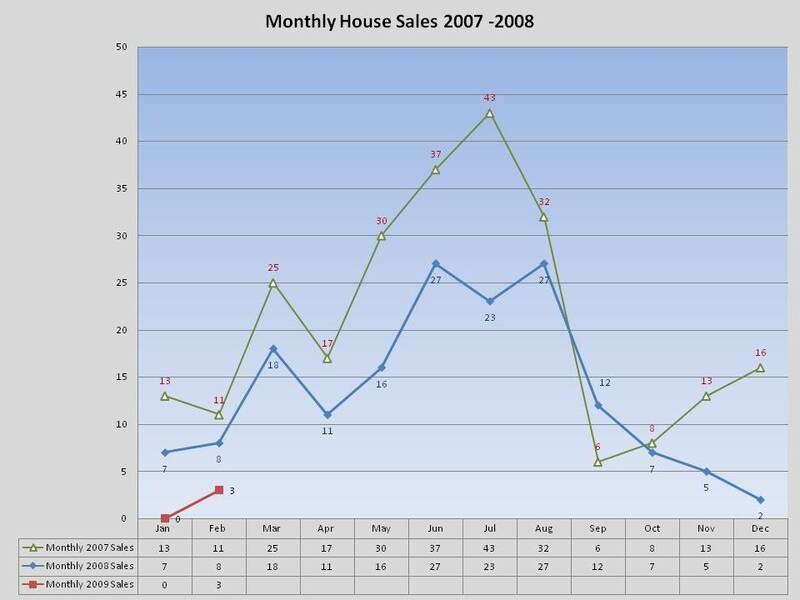 As the chart indicates the market started to dip in October of 2007, but still had some life in it through 2008. The sharp drop in closings during the fall of last year and through January is indicative of the economic fallout. The red line represents the recent 2009 closings and is starting to tick up. With the recent increased activity in the market we should see this line begin an up swing.